Some of my favorite holiday gifts have been the ones that I can enjoy again and again. A favorite gadget or beloved cardigan or, best of all, something edible or handmade. It is that little touch that truly defines the saying ‘It’s the thought that counts.’ Following up on my previous post with handmade gift ideas and my post on homemade edible gifts, here are more lovely ideas to get you started. A Puppy for Christmas – For those who want to come down to find a puppy under the tree on Christmas morning, check out the Dashing Dachshund sewing pattern on Women’s Day Magazine’s website. Like the ones I fell in love with at Tesselschade-Arbeid Adelt in Amsterdam. Quick Knit Cowl – Designed by me and offered as a free download, are two quick knitting projects that showcase beautiful chunky woollen yarn. My Midwinter Night’s Cowl (MNC) is a simple ribbed cowl that has been downloaded by over 1,500 Ravelry users. My Taffy Twist Cowl is similar to the MNC, but it doubles over for added warmth around the neck, ears or head. Again, both are available for free! Quick Knit Scarves – If you knit, now’s the time to get out your big needles and go for a fast project with loads of warmth. InsaKnitty has a fabulous pattern for you in her Wham Bam Thank You Lamb neckwarmer. Lion Brand Yarn has many quick handknit projects. Chunky wool, big needles, not too many stitches wide, it’ll be done in no time. I especially love the Play It Cool Neckwarmer. Handmade Drawstring Bag – Wrap anything in a hand-sewn bag and it is all the more special for it. 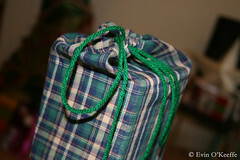 I whipped together this plaid bag with the sleeve of a shirt and a bit of cheerful green yarn thinking the tartan gave a nice holiday feel. My friend is still using it a year later! I didn’t take notes as I was making it, but others have: Essortments and Sew Mama Sew. Handmade Snow Globe – fun and great for kids to make with mom or dad as a gift with clear instructions from Blissfully Domestic. I made one years ago with clean baby food jar and a plastic prize from my cereal. 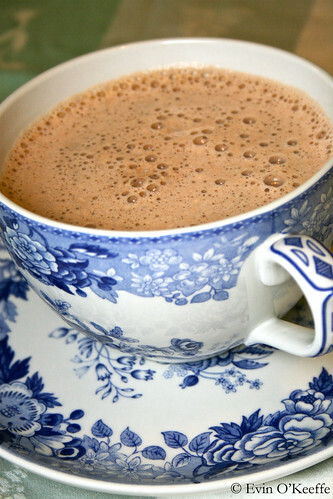 Homemade Hot Chocolate Mix – In my college days, I gave jars of hot chocolate mix and it was insanely easy to make and everyone loved it. I’ve shared the super simple recipe in a post last month. This entry was posted in Christmas Crafts, Create and tagged crafts, handmade christmas gifts, handmade gifts, Knitting, made with love, sewing, upcycling. Super article! 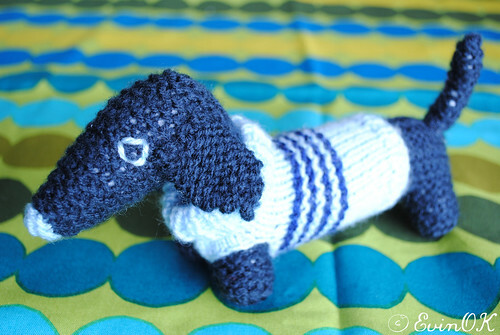 I love the sewn Dachshund toy. Reminds me of our miniature dachshund we had a few years ago. With the many trips we take, it’s not feasable to own anther dog. Some day, though. I love the drawstring bag! What a great idea.